Get Latest Career Notification about Engineering Courses, by entering your details below. What are the courses available in Engineering Field? Engineering courses are available at diploma level, undergraduate level, postgraduate and doctoral levels. It is a 3-year course which students can pursue after the completion of 10 years of school education. Diploma holders are eligible for lateral entry to the third semester Engineering Courses. Diploma in Engineering is offered in various disciplines. Bachelor of Technology (B.Tech) is the 4-year full-time undergraduate course in engineering. This course can be done with one of the engineering discipline. Prerequisites for pursuing B.Tech is 10+2 passed with PCM group from the recognized educational board. Postgraduate course in engineering resulting in the award of a Master of Engineering (M.E.) or Master of Technology (M.Tech) degree . It is a 2-years course that one can pursue after completing a 4-year undergraduate program in engineering (B.Tech). Doctoral of Philosophy in Engineering (Ph.D) is the advanced research course in engineering that has the duration of 3 years. Course duration varies from college to college. Students admitted to the Ph.D. program should have a master degree in respective discipline. Admissions in the UG and PG engineering courses is done through entrance examination. The admission to undergraduate programs of all the NITs and other reputed engineering colleges is done through Joint Entrance Examination Main (JEE Main 2019). For admission to IITs (Indian Institute of Technology), students have to appear the JEE Advanced 2019. Some states also organize their own entrance test for providing admission to B.Tech programme. Some state level entrance exams are BCECE 2019 conducted by Bihar state, JCECE 2019 conducted by Jharkhand state, TS EAMCET 2019 by Telangana state, AP EAMCET 2019 of Andhra Pradesh state. If you want to take admission in M.Tech programme, then you have to appear the Graduate Aptitude Test in Engineering GATE 2019. Some state level entrance test are also conducted for M.Tech admission like AP PGECET 2019, TS PGECET 2019, TANCET 2019, CUCET 2019, etc. Engineers are highly demanded in India as well as in Foreign countries. Career options in this field are huge. After B.Tech, you can go for a job. Some colleges provide campus placement to their students. If you will not get campus placement, then you can apply for the companies by our own. If you have a dream to run your own company then you can also become an entrepreneur. Career scope in private as well as in government fields is also available. Students can apply for Indian Engineering Services (IES) examination conducted by the Union Public Service Commission (UPSC). After B.Tech, students can also go for higher studies and pursue M.tech or MBA. Teaching and research careers are open for engineers who hold postgraduate degrees in engineering. If you are holding M.tech degree then you will get preference or gain higher position in corporate companies. Both private as well as government sector gives priority to candidate with a higher degree. 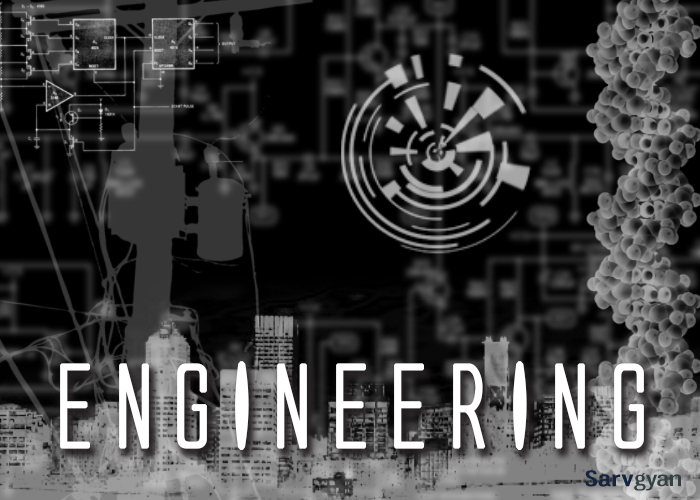 Engineering is one of the best job oriented educational programme across the world. It is a professional educational course. There are a lot of chances to get the reputed job once done the engineering course. Today, the world is playing with the technology. Everything is depending on the computerization and above all we are still striving to achieve the height of development. “The world needs experts who are engineers”. There are various reputed industries in India and in abroad, looking for the engineers. You will get the job title depending upon your specialization. For example – If you have completed engineering with Computer Science branch then you may be designated as software engineer, software developer, system designer, etc. A fresher engineer can earn the 2.5 lakh to 3.5 lakh per annum in India. But, if he moves to the abroad, he can earn around $80000 to 100000 per annum. It is a good salaried professional course rather than some others. I wanna no which engineerng course has a gud scope now ………actually i wanna go abrod after completng my degrees from india so i want 2 no which sector will b gud 4 me having highest salary …….now m going through 12 board examination…..plzz let me no !!!! Computer Sc. Engg and Electronics have good scope. anyone but most promising is Computer science. which engineering course has a good scope now? I want to go abroad so that’s why which course are better for me ? Ece is best for that student who fear with matha…..
Can you notify me of entrance exam forms release and details about it for engineering and law? Sir,I’m very interested in marine engineering.can you please give me the complete details based on the required entrance exams,date of applying,etc.now i’m studying in 12th standard(appearing 12th examination this year)hope you reply soon…(if you don’t mind please reply to my gmail)wishing you a happy new year.Thank you…. Computer science and EC is the better option. Please inform about the information technology. Can i do B.sc. in mechinical eng. and M.sc. in aeronotical??? if i do so i have any problem to take job in multinational company?? is there any turion or book available to crack this exam ? Or is it so that we have to crak this exam or we can get direct admission also ? Computer Sc. and Electronics are good option. What is Guru Gobind singh IP university.. what is the old name for this university. Sir, I am pcm student please tell me career track for becoming loco pilot(train driver). this type of job announce in employment news. adhere to that and apply. Computer Sc.and Electronics are among the top job providers. you can pursue BCA, B.Sc (IT), or various other job oriented courses, for details you can check the list of courses after 12th science. Sir, please give me the path to became a CA and how much plenty i would used to spent in becoming ca because my family financial condition is not good. In my consideration about 50K. Good afternoon sir, sir i am studiying in 11th commerce and i m not an expert in accountancy but i can do it if i work hard . sir i know that in ca ,there is much salary and incomes with which i can fulfill my dreams and i can support my family .So sir , i wanted to know that if i do CA than what are the advantages for me and further , how can i guide my future with it.and if i cant ,then what are the side ways with which i can improve my future. Waiting for your reply, yours pleasant. There are many career options in commerce which you can prefer, CA is no doubt a good option..you can check more from here: commerce courses after 12th. I am a student of 12th.i want to be an iitian engineer.for it what i will have to do? Just appear the JEE main and Advance exam for the Presiding year. Sir i have 57% in eee can i apply to any university for m tech in aerospace engg in any university?? Which branch is much better, is it computer science or ece…? both are having good opportunities. Is private engineering is better to get a job of above 60000? If you are week in those subject then you must surly change your path. Sir aeronautical engineering is a good branch for girls?is there any opportunity for getting a good job easily?? it is almost good for all. visit our site again and put the key word as “Top engineering colleges in” in search bar and get you answer. Sir, i hav just finished my 10 th with 87% nd want to do mechanical engineering but i m very much confused tat i should go for diploma nd then degree or i should go for 11-12 th nd then degree ??? Sir plzz tell me tat which ll be the right path ???? It think you should pursue your 11th and 12th and then go for Degree course in M.E. I think that now I want to start learning of civil engineering for that I can be a enginer after for year so when I become a civil enginer then what condition in real life??? I have wish to apply for petroleum engineering.has it good scope? Hye I am geeta Rawat I have pcm I want to ask that can I apply for biotechnology or not pll suggest me? i passed in 12th sci with maths can i go to diploma? Wc courses i can do nw better? I am from Kerala. I appeared for plus two examination. Result will publish only May 20th 2015. I expect above 90% If i got admission to Chemical Engineering. What is the admission procedure and the Fee details? You may go through the KEAM or JEE Main examination and follow the admission procedure of these exams. I have give the examination of 12th science with pcm in 2015…now can u suggest me that can i choose robotics engineering …n yes then what can i do?? i have give the examination of 12th science with pcm in 2015. now im confused about that whicg engineering will have been done so plse help me in the choice of engineering. sir i m a student of jharkhand of category OBC BC-2.and my family annual income is below 1 lakh.also my marks is very low in jee mains(2015) as i calculated.but i want to study b.tech in a prestigious college in india with branch enivironmental or industrial or nuclear or petrolium branch.is there is any scholarship programe for fpr me…..sir..plase reply i m in big truble…. It is required to get 90% up to get in admission in good college n after college to get good amount of salary??? i am metric pass i hubby a engineering college to admission. our aim is not depend on our marklists…. only depend on our confidence…. don’t worry you do B.E. you can make success…. Nepales student are allowt to aaply or not for admission? Is B.Arch course is provide if i write KCET??????? ?